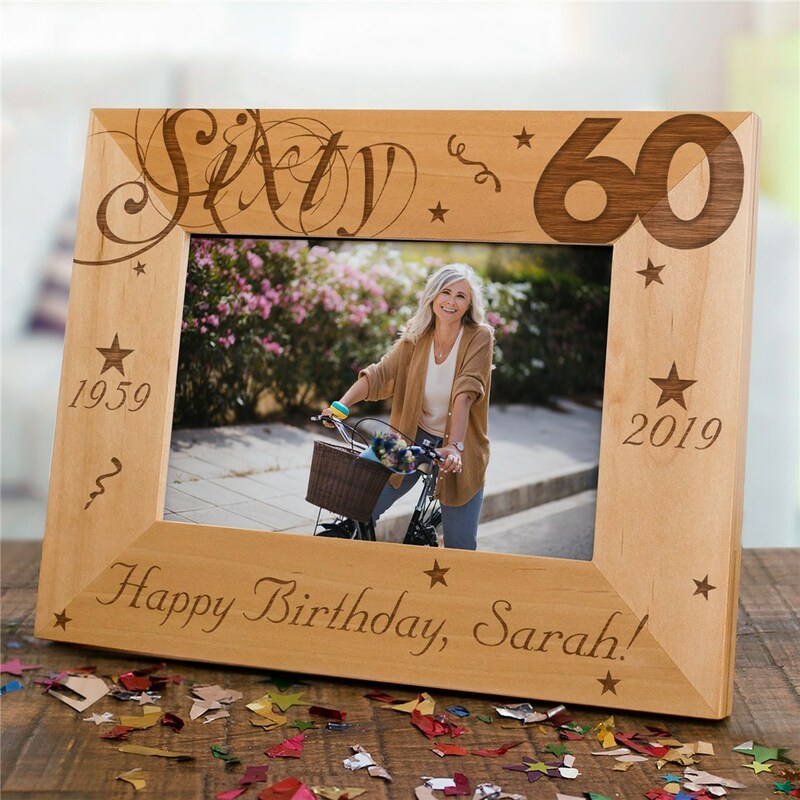 No matter what age is being celebrated, your birthday recipient is going to love these engraved milestone birthday personalized wood picture frames. Our birthday personalized wooden picture frames come in three sizes and will be beautifully engraved with any age, birth year, milestone year and custom message (up to 30 characters), to create a keepsake that will be treasured for birthdays to come. I absolutely loved this picture frame! It’s sturdy and the details on the frame look very good, just like I saw online. This was a gift. My friend said she loved the picture frame. What she liked most, was that it was personalized.